On 9th January 2012, Airport Deputy manager Mr. Janarthan at Tirupati Airport, had a major problem on his hand. His air traffic controllers had not reported for duty as usual, at 7.00 AM and the control tower was unmanned. Tirupati airport handles only 7 flights every day, but it is the nearest landing point for Tirmala shrines. One of the most revered temples for Hindus, particularly from south India..
To add to his worries, Jet Airlines flight 9W2761 had already taken off from Hyderabad and was scheduled to reach Tirupati, within one and half hours . He made frantic calls to the air traffic controller, who told him that he simply forgot to report for duty. However ATC told Mr.Janarthan that he would immediately start for the airport and would be there as soon as possible. Tirupati airport has no approach radar and pilots rely on air traffic controllers to provide runway and weather information and give landing clearance. Since pilots rely mainly on visual approach to land their planes, they need to have all the support information at least 40 minutes before the aircraft reaches over Tirupati. 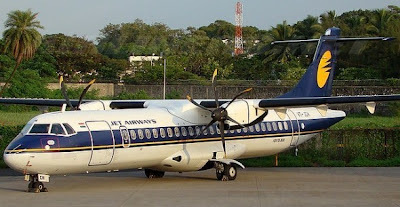 Mr. Janarthan knew that the pilots of the Jet Airlines flight from Hyderabad, would ask for this information on radio and by then, the ATC just can not arrive at the airport. Doing some quick thinking, he requested Mr.Pasha, a fireman at the airport, to furnish necessary information to the pilots of Jet Airways flight on radio. Mr Pasha speaks only broken English but managed to give the required information on the radio. 40 minutes later, when the aircraft reached the Tirupati airport, ATC had already arrived and was in his seat to guide the aircraft to land safely. Mr Janarrthan might have solved a crisis in hand , but he is now facing an inquiry along with Mr Pasha, how they undertook ATC duties, without authorization. Airport Authority of India says that Mr Pasha had good intentions but he is untrained and he should not have done ATC's job. Mere good intentions are not enough to do a job.